A Dungarees.com top seller! 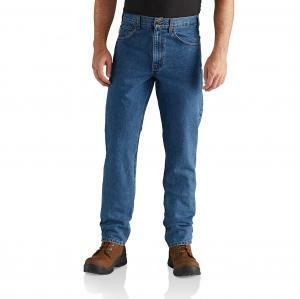 This jean features a slimmer fitting seat and thigh, Carhartt's heavyweight, 15 ounce denim and a tapered leg opening. I am hoping the quality has gone up. The last 5 or so pairs got holes at corners of back pockets within a couple of washing’s. That then split all the way down the side of back pocket. I am hoping Carharrt has fixed this as I am not the only person who has experienced this. Bought two pair, liked them so much bought two more. Love the fit and in 12 hour day still stay true to theirs it!! Recommended to my coworkers. 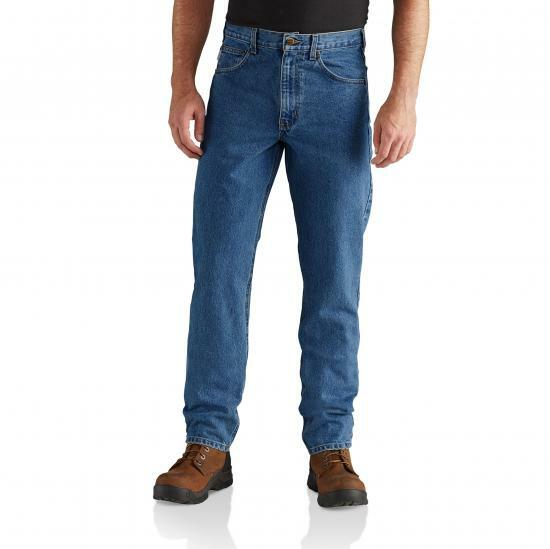 Awesome jeans. Didn't know this kind of quality existed anymore. Can already tell these are going to last for many years. Only wish for me is a flap/button rear pocket for my billfold.